Unchanged for the new model year, the 2017 Honda Fit in Phoenix is a standout in the subcompact segment. Its biggest draw is its excellent fuel economy numbers; however, it's also known for its ample cabin space and impressive cargo capacity. Buyers will also love the car's collection of technologies, which are designed to boost the overall in-car experience for drivers and passengers. Take a moment to read our 2017 Honda Fit review below for more information about the beloved model. The Fit is offered in four trims: LX, EX, EX-L and EX-L with Navi. A variety of great standards are offered on the base model, and as you move up the roster, additional first-rate features are present. The LX comes standard with full power accessories, Bluetooth, a 5-inch display, a four-speaker sound system, LED brake lights, cruise control, auto headlights and 15-inch steel wheels. EX adds 16-inch alloy wheels, a sunroof, foglights, a 7-inch touchscreen, a six-speaker audio system, two USB ports, voice control, HondaLink smartphone app integration and an HDMI input. 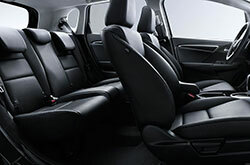 Those who opt for the EX-L trim will find a leather-wrapped steering wheel and shift knob, leather seating, heated front seats and heated side mirrors. HD, satellite radio and a navigation system are added to this model. A 130-horsepower 1.5L four-cylinder is found on the 2017 Honda Fit in Phoenix. Delivering 114 lb.-ft. of torque, the engine can be paired with either a six-speed manual or CVT automatic transmission. 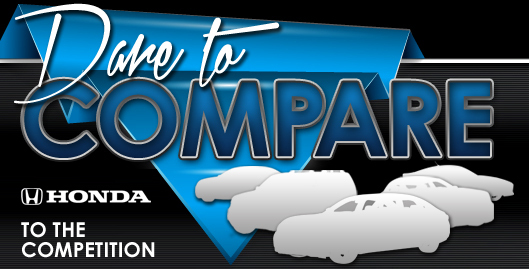 CVT models offer the best fuel economy out of the bunch. The LX produces an EPA-estimated 36 mpg combined, 33 city and 40 highway. 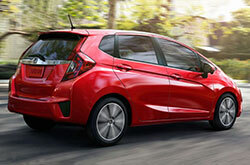 Traction control, stability control, airbags, antilock brakes and active head restraints are standard on the Fit. Noted in several 2017 Honda Fit reviews, certain models can also come with the LaneWatch blind-spot system, which helps prevent accidents. Have the 2017 Chevy Sonic, Kia Rio, Ford Fiesta and the Toyota Yaris seized your attention? Then you should also think about buying a 2017 Honda Fit in the Phoenix area. You may find that it is a proper match for you, with its sleek styling and five-star on-board technologies. Take advantage of data included in our review to see if 2017 Honda Fit is right for you; and when you've decided, take a look at great lease incentives offered at Showcase Honda. 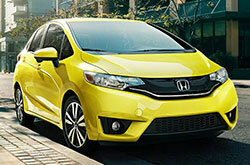 We're a local Honda Fit dealer with attractive manufacturer incentives on new and used vehicles. Our review is here to help you with making a discerning choice when searching for a car, and we hope it incorporates the information you need for this. 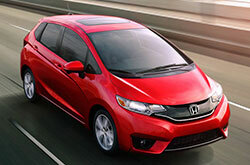 Scan through our vast selection of Honda Fit models online. Then visit Showcase Honda for a test drive. Want to get a glance at its interior features preceding your visit? See the included video recording. Purchase prices do not include tax, title, license and $395.00 doc fee. Prices include the listed Factory Offers and Incentives. Please verify all information. We are not responsible for typographical, technical, or misprint errors. Inventory is subject to prior sale. Contact us via phone or email for more details. *MPG Based on 2017 EPA mileage ratings. Use for comparison purposes only. Your mileage will vary depending on driving conditions, how you drive and maintain your vehicle, battery-pack age/condition, and other factors.